Infant observation carried out within the family is a compelling approach to the study of early human development, vividly revealing the impact of intergenerational patterns of child-rearing and the complex relationship between nature and nurture. It provides unique insights into the early origins of emotional disturbance and suggests ways in which healthy development can be promoted by both professional and parent, often resulting in changes to clinical practice. 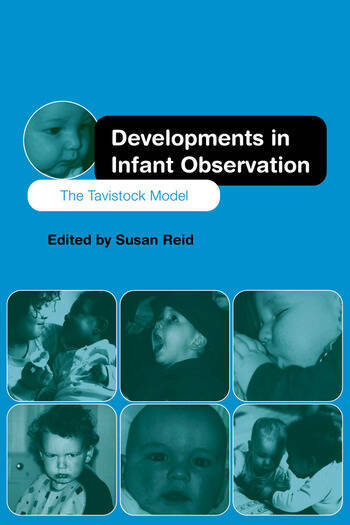 Developments in Infant Observation: The Tavistock Model is a collection of twelve key papers from international contributors. It offers an overview of current practice, explores the new concepts that have arisen from direct observation, and shows how the findings from observation are being applied in the research setting. An essential text for child psychotherapists in training and practice, this is a book that brings alive the academic theories of child development through thought-provoking and stimulating case-studies which will be of interest to any professional working with children.